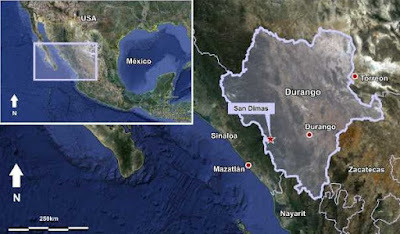 Cyanide spill in Mexico traced to Primero/First Majestic Silver Corp.
Two hundred liters of cyanide solution are polluting the waters of Mexico's Piaxtla River in San Dimas, Durango. where Canadian Primero Mining Corporation operates. Federal environmental experts determined a concentrated amount of roughly 100 to 180 mg of Cyanide spilled into the water source and traveled some 250 meters downstream, seeping into the Piaxtla riverbed. 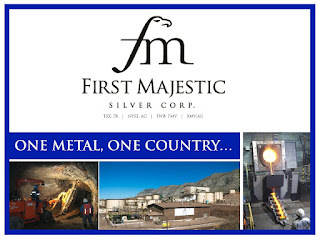 "Primero Mining Corp. and First Majestic Silver Corp. are pleased to announce that Primero's shareholders have voted in favour of the arrangement transaction at a special meeting of shareholders held earlier today. In addition, holders of Primero's 5.75% convertible unsecured subordinated debentures due February 28, 2020 have, at their meeting today, also voted overwhelmingly in favour of the proposed amendment of the trust indenture to accelerate the maturity date of the debentures to the next Business Day following the effective date of the Transaction. The Transaction, whereby First Majestic will, among other matters, acquire all of the outstanding common shares of Primero, was approved by more than 99% of votes cast by Primero shareholders." 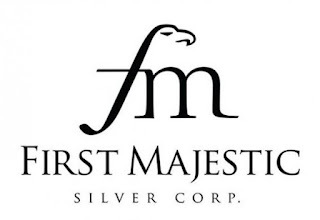 First Majestic Silver Corp - FR.t is focused on silver production in Mexico. The Company owns and operates six producing silver mines; the La Parrilla, San Martin, La Encantada, La Guitarra, Del Toro, and the Santa Elena Silver Mine. 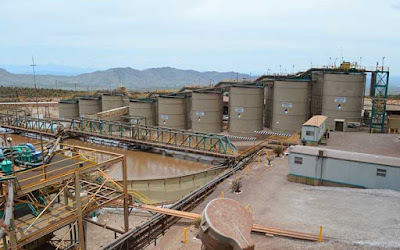 Production in 2016 was 18.7 million eq/Ag, consisting of 11.9 million ounces of silver, 62,436 ounces of gold, 33.2 million pounds of lead and 10.6 million pounds of zinc. Labels: Cyanide spill in Mexico traced to Primero/First Majestic Silver Corp.
http://pennystockjournal.blogspot.ca/2018/02/orca-gold-inc-orgv.html Red Back boys are drilling in Sudan. http://pennystockjournal.blogspot.ca/2018/03/canada-jetlines-ltd-jetv.html Co's deal for leased aircaft fails, launch delayed. 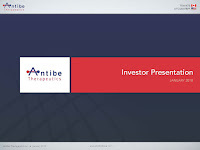 http://pennystockjournal.blogspot.ca/2018/03/antibe-therapeutics-inc-atev.html Co's main drug passes trials. 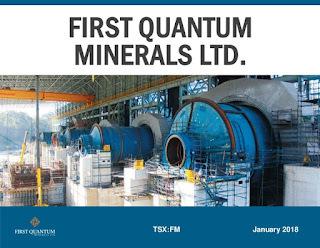 First Quantum Minerals Ltd. - FM.t is an established mining and metals company operating six mines and developing five projects worldwide. 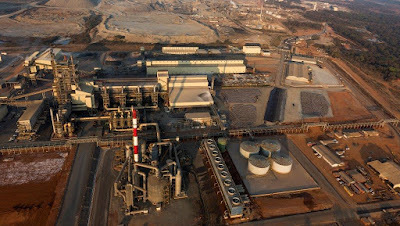 The Company’s operations are the Kansanshi copper-gold mine, the Guelb Moghrein copper-gold mine, the Las Cruces copper mine, the Pyhäsalmi copper-zinc mine, the Ravensthorpe nickel-cobalt mine, and the Çayeli copper-zinc mine. Copper miner First Quantum just got the massive large pee pee right where it hurts courtesy of Zambia Revenue (ZRA). Describing it as "a Mining tax scam worth 76.5 billion Kwacha" the agency figures FM owes about $8 billion. Where that ridiculous number came from is anybody's guess at this point. 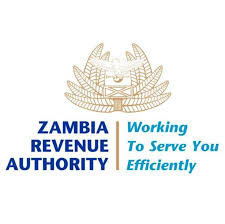 The 2018 theme for ZRA is “Rewarding compliant tax payers and punishing non-compliant tax payers to the maximum”. Well that's great but now who on fukkin earth will invest a nickle in Zambia? NOBODY that's who. The Authority plans "detailed audits on all mining companies for compliance in all applicable tax types in order to ensure all taxes due are collected." This is a 'worst case' made far more gruesome by the fact FM relies heavily on Zambian operations. Many might suppose the government's next step is to nationalize all mining operations in the country. Seeds of doubt under a massive cloud and FM stakeholders are in trouble deep, along with every other company with investments in Zambia. The feasibility numbers for Pretium predicted a head grade north of 15gm/t. The first ore was hand picked and ended up being around 10.5 gm/t, a wicked large difference and an instant issue. Next reporting period that head grade fell to 8.2 gm/t, and that is almost HALF the predicted. Every single dollar is the bottom line variety and that is a killer. 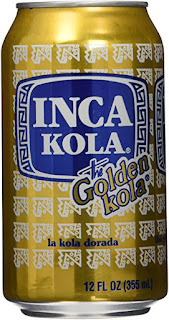 Production increases and recovered gold decreases ... that ain't exactly what everybody behind this deal had in mind. Welcome to thin width mining. Detour has been sucking wind as well as reality is far different from the expected. Major issue is one of management. A worker died last year of "acute cyanide intoxication". Forget the $1.5m criminal fine and increased WCB premiums for many years, if possible, this management is led by an accountant, and having a worker death in Canada gives the APPEARANCE the bottom line is more important than employees. Any way sliced it looks bad vis-a-vis the hand steering this ship. One of retard boy Mark Turner's sterling picks is Tinka Resources Limited - TK.v. Mucho attached to said deal is Sir Spewalot, so much so he unleashed torrents of abuse after, gasp, somebody decided to sell the krap, driving it down to sub $ .50. Instantly wonder boy called a heinous conspiracy and a massive large, wicked aresome 'buying opportunity'. Naturally, very, the paper continues it's downward spiral and today there is news of a bought deal financing at rock bottom. 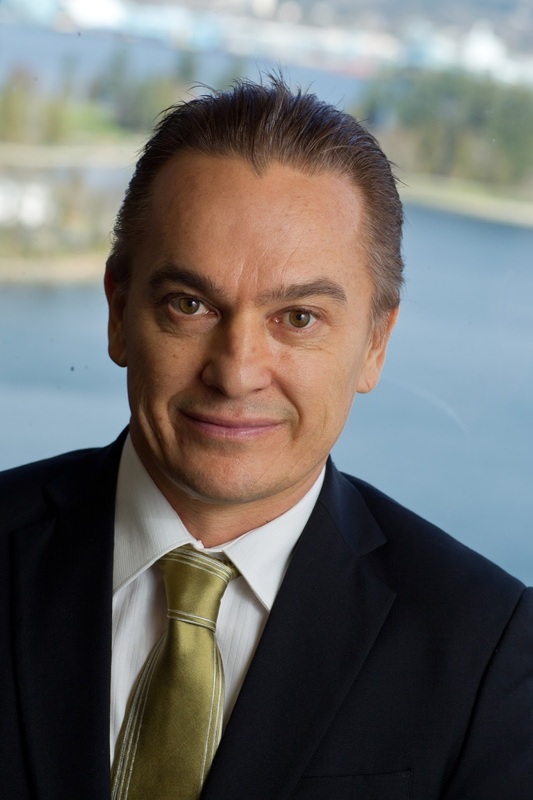 "Tinka Resources Ltd. has entered into an agreement with a syndicate of underwriters led by GMP Securities LP pursuant to which the underwriters will purchase, on a bought-deal basis, 14.6 million units of the company at a price of 48 cents per unit for aggregate gross proceeds to the company of $7,008,000. Each unit will consist of one common share and one-half of a common share purchase warrant. 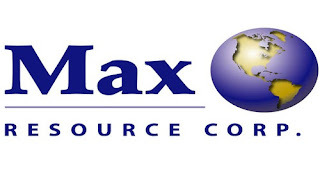 Each warrant will entitle the holder to acquire one common share of the company at a price of 75 cents for a period of 12 months following the closing date." This is apparently all about zinc, and that means if you have zero understanding of zinc you best leave this venture chit alone. Apparently Mr. Turner is an 'expert' at anything he sets his little mind to. "it’s an invitation to free money." Riiiight Mark Turner. 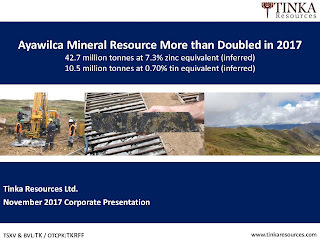 Tinka Resources Ltd. - TK.v is advancing the Colquipucro and Ayawilca projects located 40 km northwest of Cerro de Pasco in Central Peru. 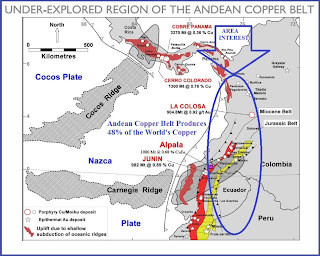 Ayawilca is a large zinc sulphide project while Colquipucro is a silver oxide deposit. BEFORE the wholesale paper the shell had a paltry 23m outstanding. Even Matich could corner a float that tight. And AFTER the paper distribution tis time to jack share price on 'news' of grab samples. This is a dated picture of the Hobbit's relationship with various scuzzybagians. Cap-Ex was a massive success all right, sewering to near zero before the obligatory rollback. It is impossible to find any evidence of the public EVER making money through the 'skills' of the Hobbit. Losing money to a wicked crook? Overwhelming evidence of that, many times. Most recently the Hobbit is spewing sweet nothings about Colombian grab samples. Riiight. He appears to have learned something after getting spanked stupid by the regulator in his first few weeks as chief Cap-Ex retard.
" ... we are very thrilled with these results at this early stage." So we don't like this man and the reasons for that are many and most of em can't be repeated here. His unspeakable past in Oz means a body wonders greatly how Canada accepted him as a permanent resident in the first place. Thanks to statues of limitations perhaps he's as clean as freshly driven slush now. Whatever. Another useless crooked Vancouver Venture promoter addition to enhance Canadian society eh? 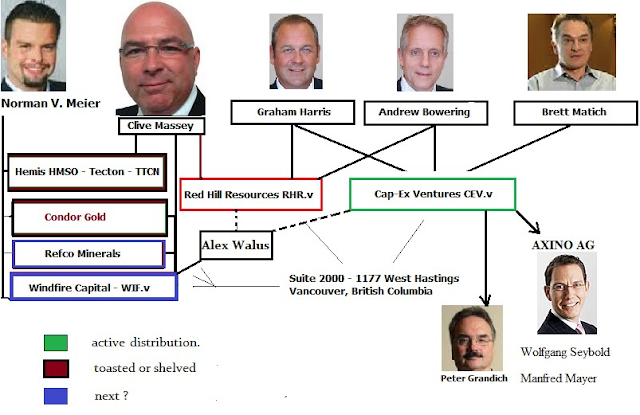 Dopey Matich is touting his first Canadian 'success' - Cap-Ex Iron Ore Ltd. a highly greased promotion which sewered to basically zero before being used for a reverse TO by his gruesome twosome Venture partners, Andrew 'Bumring' Bowering and Graham 'Punchy' Harris. Labels: Brett 'Hobbit' Matich - Imported Oz K9 - Max Resource Corp, Brett Matich - Imported Oz K9 - Max Resource Corp, Clive Massey, Mardu Investments Ltd.